Enjoy an eagle eye views of the city on our Cairns Parasailing tour. Lifted high above the waters of Trinity Inlet on the Cairns Esplanade. It’s stunning rainforest mountains and the glistening waters of the Coral Sea. Feel the thrill as you are gently lifted off the deck of the custom-built parasailing vessel, 300ft into the air. In the distance you can see Double Island off the coast of Palm Cove, with its beautiful beach and blue water. 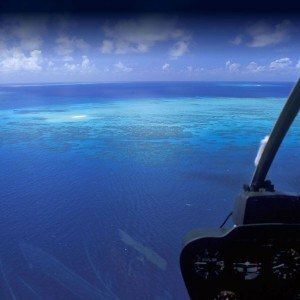 To view a great range of tours in Cairns, click HERE! 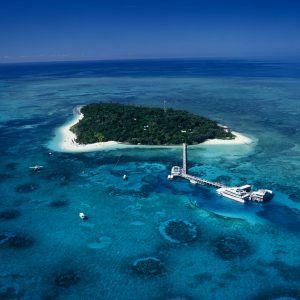 Catch glimpses of Green Island and the beginning of the Great Barrier Reef on the horizon. Sea planes and helicopters depart from Trinity Inlet, taking guests on trips to the reef, rainforest and outback. A little further away, airplanes come and go from Cairns International and Domestic Airport, bringing more visitors to this wonderful playground in paradise. Beneath you, flying fish race through the waters of Trinity Inlet and you might even be lucky enough to see dolphins, turtles or the native dugongs, all enjoying the calm waters of the Cairns waterfront. Parasailing is for everyone. 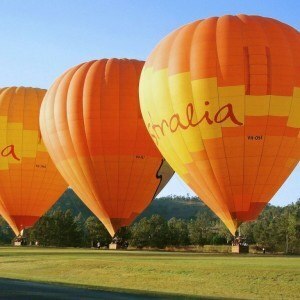 We have taken adventure lovers, families and even an 83-year-old on a Cairns parasailing experience. You can fly solo or tandem, take a dip or stay dry, it’s up to you! Daily departures from 9am, 11am, 1pm and 3pm. Our qualified staff will stow your belongings on the boat and organize your life jacket and parasailing harness. A parasailing briefing is provided and then you are away, for the flight of your life. You will need to bring: a change of clothes, sunscreen, a towel, sunglasses, and of course, your sense of adventure. Friends can come along at a cost of $20, as long as seats are available. We offer a courtesy pick up in Cairns, where you will be taken to our custom-made vessel, located at B finger at Cairns’ Marlin Marina. 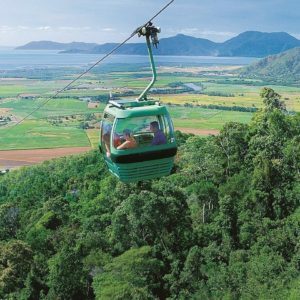 Cairns skyrail gives you a whole new perspective of North Queensland's rainforest. With an amazing boardwalk tour and the village to explore.